A few weeks ago my boyfriend and I travelled to Budapest, Hungary for a long weekend. We were drawn to the city because of it's beautiful buildings, quirky ruin bars and it's vibrancy and I wanted to share with you our weekend and give you some recommendations of things to see and places to visit. Visit the Buda Castle & Fisherman’s BastionOn our first full day in Budapest we decided to walk up to the Castle district to see the sights of the city. The weather was warm but cloudy so we thought it would be a good day to do lots of walking so we didn't get too hot. We happened to be staying on the Buda side of the city so were lucky enough to be a short walk from the castle area. The views were amazing & it was all free so it's definitely a must see! The fisherman's bastion is also located on the castle district and overlooks the city, the Danube and the Hungarian Parliament Building. There are SO many sights to see in Budapest; we visited Heroes Square, the Parliament Buildings, the chain bridge, Gellert Baths and the Shoes on the Danube Bank. The Hungarian Parliament Building is one of the most iconic buildings! It looked incredible at night and was so fascinating to see. The shoes on the Danube Bank was really touching and made me feel incredibly emotional. The statues are a memorial to the Budapest Jews that were shot between 1944 and 1945. The Széchenyi Chain Bridge is one of the many bridges that links Buda and Pest. It looked incredible lit up at night - a great spot for a photo. As part of the Gellért Hotel on the Buda side of the river, the Gellért Baths are located. The renovated baths are so tranquil and almost feel royal. I highly recommend going! 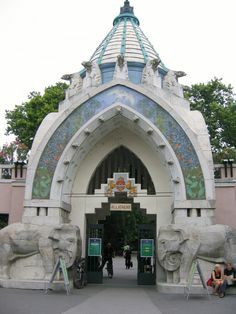 Finally the zoo is another of our favourite sights whilst we were in Budapest. Yes, I know you can visit the zoo anywhere in the UK, but we wanted to go anyway! It was brilliant! We loved strolling along the river in the evening before dinner. It was so relaxing and the scenery was incredible. We found ourselves visiting the many bars trying out the cocktails and relaxing as we looked out onto the river as the number 2 trams drove by. Every night when we were in Budapest we ate along the main Vaci street. It's full of tourists and there is a real buzz. We ate at a few nice restaurants and also ended up in the Budapest Ice Bar on one night! It's a lovely way to discover some great food. 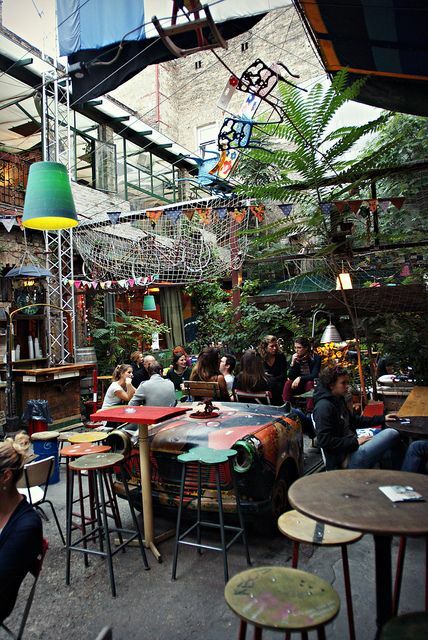 The ruin bars are a must see in Budapest! They are SO quirky and have the strangest interior! We visited 3 ruin bars which were all situated closely together. It's definitely an experience I won't forget! Have you visited Budapest before? What were your favourite places to visit? Do you have any recommendations? Let me know in the comments below!